The tab book contains every single guitar note on the album, transcribed and notated by Paul – guaranteed to be accurate! Plus performance notes, gear listings, amp settings, composer biogs and more. CD 1 contains complete backing tracks for the entire album so you can play along using the tab book. CD 2 contains all the guitar parts to accompany the backing tracks – listen to the guitar performances on their own in the closest detail. Note: This package does not include the Preludes & Etudes album CD. 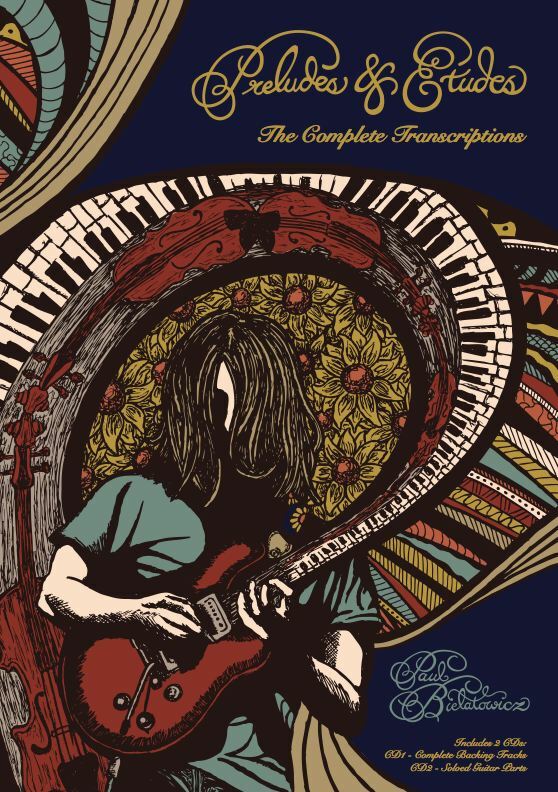 To order the transcription book with a copy of the album CD, please CLICK HERE.